The National Oceanic and Atmospheric Administration’s (NOAA) new catch share policy, which encourages the use of catch shares to manage fisheries, is exciting news for the Gulf of Mexico’s declining fisheries and struggling fishermen. The Gulf of Mexico Fishery Management Council deserves a pat on the back for already considering catch shares for some of its fisheries, and NOAA’s new policy can help jumpstart even more progress to end overfishing in all Gulf fisheries. Ending overfishing is good for Gulf economies and will give fishermen more time on the water. 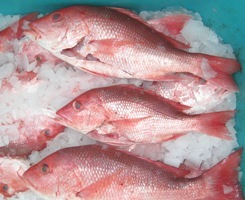 The red snapper individual fishing quota (IFQ), one type of catch share, is wrapping up its third year, and we continue to see the tangible benefits of catch shares: commercial overfishing is ending, fishing businesses are more stable, and bycatch (accidentally-caught fish that must be thrown back in the water and often die) has been significantly reduced. 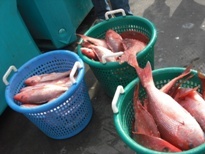 Last week the Gulf of Mexico Fishery Management Council’s Science and Statistical Committee updated its regional red snapper stock assessment and found signs that the population, though not recovered, is finally beginning to make a comeback. There is work ahead and many unknowns remain, but this looks like great news for fishermen, local communities and the environment. At its February meeting, the Council will likely increase the quantity of fish that fishermen are allowed to catch. Commercial fishermen working under a successful red snapper management plan called an Individual Fishing Quota (IFQ) will have a good chance to be rewarded with more fish next year (and beyond). This sector poses little risk because fishermen are living within their catch limits, they have reduced the number of fish that must be thrown overboard dying to comply with closed season and size limit regulations, and they follow strict monitoring and accountability rules. At the same time, IFQ management has helped fishermen improve and stabilize dockside prices, reduce the costs to harvest fish, and provide higher quality fish to consumers. The story features commercial fisherman Buddy Guindon, who also owns Katie’s Seafood in Galveston, TX. He owns quota in the Gulf of Mexico’s commercial red snapper individual fishing quota (IFQ) program, a type of catch share. Just last week our fisheries policy guru, Shems Jud, attended the Pacific Fishery Management Council meeting in Spokane, WA. 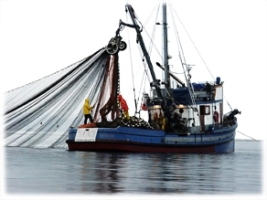 After a six year process, this meeting was the last opportunity for the Council to develop and decide on unfinalized components of the Individual Fishing Quota (IFQ) or catch share program for the trawl sector of the Pacific Groundfish fishery. Most importantly, implementation of the program will not be pushed back and is still on track for the target date of January 1, 2011. The precedent-setting Adaptive Management Program (AMP), a tool that promotes social, economic and conservation goals by pro-actively dedicating ten percent of the fish quota to a “public trust” like pool, will be implemented in year three of the program. The carry over provision—which works like a cell phone plan’s roll-over minutes, but for your fish quota—will remain in the fishery’s management plan. The program is nearing the finish line now after more than a five year stakeholder design process. Last November, the Council made a historic decision by voting unanimously for a catch share management system in the groundfish trawl sector, one of the four major sectors of the fishery. Instead of managing just a single stock, this complex catch share will manage the largest number of species of any fishery in the U.S. In addition, there are unprecedented features to the program, including the AMP and providing for fishermen to fish their quota using other gear types. Next Steps? NMFS still has to draft a regulatory package that lays out the specifics about how the catch share will actually work. This proposal will be reviewed by the Council in September in a process called “deeming”. In the coming year, the three West Coast states will work with NMFS on making sure the new infrastructure and staffing are in place in preparation for the fishery to transform to catch shares on time by 2011. And finally, this landmark decision will need the signature of Gary Locke, the Secretary of Commerce.